Cedar Hill Achieves Deficiency-Free Survey! 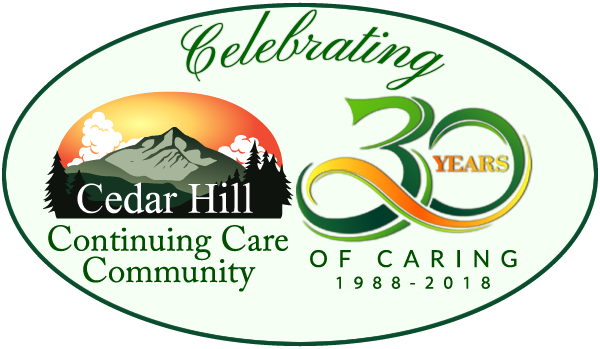 In late October, Cedar Hill Health Care Center had its annual state/federal nursing home inspection. This year, we had five surveyors for two full days. For the third time in four years, we achieved a Deficiency-Free Survey, which means Cedar Hill is meets or exceeds all federal and state regulations to provide the highest quality care on a daily basis to our residents and their families. 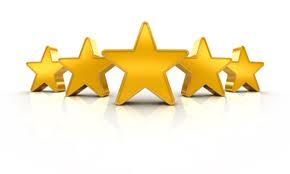 The Five-Star Quality Rating System was created by the Centers for Medicare and Medicaid Services (CMS) to help consumers, their families, and caregivers compare nursing homes more easily. Facilities are rated from one to five stars, with one being “much below average” and five being “much above average.” Each nursing home receives one overall rating and then individual ratings for Health Inspections, Staffing, and Quality Measures. These include information regarding nine different physical and clinical measures related to residents, such as the prevalence of pressure sores. Once again, Cedar Hill has been awarded five stars! We are proud of what this means for our residents and the care they receive, and our staff and the care that they give. We thank our staff for their incredible dedication and hard work that made this achievement possible. We want to thank our residents and families for the active participation this week. Survey Team: Thank you for recognizing the high-quality environment we strive for every day. This honor is the most recent in a series of outstanding accomplishments by Cedar Hill that includes multiple awards for team members at the recent VHCA Conference for Mary Louise Sayles, Lifetime Achievement Award; Barbara Flinn, Nursing Home Activity Director of the Year, and Jon Manning, Nursing Home Volunteer of the Year, as well as the DAIL Quality Award last spring.